← This Home Exchange Offer from Sweden was Two Homes in One! Brittany It Is! One Home Exchange Secured, One more to Go! 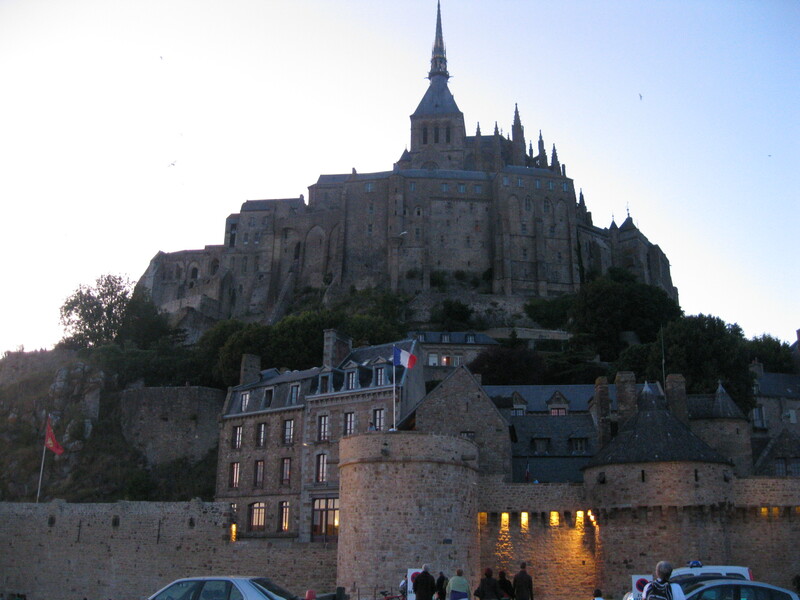 I fell in love with Mont St. Michel when I last visited Normandy, France in 2009. Now, I’ll get to return to this amazing place next summer, it is only 40 minutes from my next home exchange! If you’ve been following for just the last few weeks, you will have seen that I have been receiving quite a lot of interesting home exchange offers. There hasn’t been an unattractive offer in the bunch. Several offers have been extremely nice, but one in particular really excited me. This offer was for a beautiful stone, 5 bedroom home, located in a picturesque village called St. Meloir-des-Ondes in the Ille-et-Vilaine department in Brittany, France. So, for the past several days I’ve been discussing a potential exchange with the very nice home owner. We’ve had quite a bit of back and forth e-mailing, as is usual and appropriate when making an exchange, and we have happily worked out the preliminary details for an exchange for two weeks next August, 2015. Their family of five is as excited to visit my NYC/NJ Shore area as my family is to visit their Brittany. We will be exchanging our cars as well. It should be a fantastic exchange! For those of you who are interested to know how much such an arrangement can save you, I’ve done some estimating for you. Why… because, I want your family to give international home exchange a try. I’ll be the first to tell you that international home exchange is about more than just the savings, the cultural benefits of home exchange are extraordinary; but money is obviously very important too. So, here are the savings I calculated for my family’s two weeks in this home exchange. I looked for a comparable home in the Ille-et-Vilaine department in Brittany. I found that five bedroom homes, on average, rent for between $200 and $400 per night in August, depending on location and quality of the rental property. I found the above listed rental and got a quote for the first two weeks in August. It rents for $295 a night or $4,130 for a two full weeks. But since I want to give you a really conservative estimate, let’s just say my family saves $3,000 (and not the above referenced $4,130 for the two weeks of accommodation) Now factor in the car exchange. Again, I’ll be very conservative and estimate that I will save $1,000 on a large car rental for two weeks. Combine the two and we are looking at a conservative estimate of $4,000 on accommodation and car for two weeks. If you recall from my earlier posts, my family is looking for two back to back home exchanges, so it is entirely possible that I could double that savings by adding another two week home exchange. If this sounds too good to be true, I assure you that it is not. It is true, and it is really, really good! I’ll continue to report on the home exchange offers as I receive them, and I’ll be sure to keep you in the loop when I secure my next wonderful home exchange. This entry was posted in Uncategorized and tagged bretagne, brittany, car exchange, France, have home will travel, home exchange, ille et vilaine, mont st. michel, new jersey, NYC, saint meloir des ondes, the ultimate international home exchange guide. Bookmark the permalink.